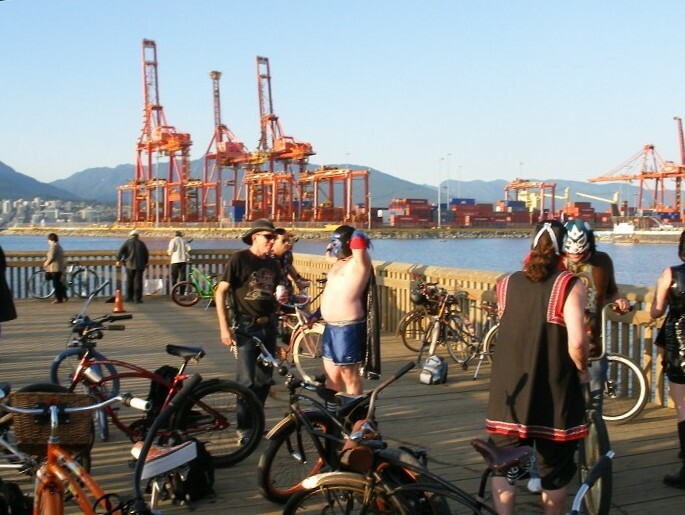 The pier at Crab Park is a great meeting spot on a sunny afternoon. Wonderful views of the North Shore mountains, the occasional float plane flying by and pretty much every type of ship you can imagine. Crab Park is a short roll from Waterfront Station; you can exit the station via the Seabus terminal on Waterfront Road.